I noticed that pretty much everyone was in agreement that Thomas Jane's character knocking off his son and the other three was shocking to all. Where the debate seems to begin is after the army rolls into the picture moments later. Like I mentioned earlier, some loudmouths at work blabbed the ending and yet I was still shocked and mortified when the deed was done. Brilliant! It had been a long time since a movie had that kind of effect on me... the fact that I even knew it coming makes it all the more remarkable. When the army appeared that was the cherry on top. I'm like, 'No waaay!' It made his act that much more horrific knowing he sacrificed their lives not knowing salvation was only moments away. Him firing the gun staggered me... the dreadful realization that he didn't need to do it was the knockout punch. I tried to ask myself what I would do in his shoes. Could I bring myself to end the lives of others to spare them the terror? I doubt it. I'd like to think I'm too much of a fighter for that. But then if my child kept crying to me... 'Don't let them get me, Don't let them get me...' I don't know what else I could do to spare them that gruesome fate if I thought there was no hope. Certainly some morbid food for thought. 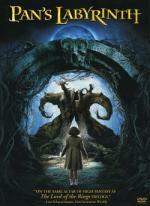 From acclaimed director Guillermo del Toro '(Blade II, Hellboy)' comes "one of the most exciting and visually impressive adult-audience fables since 'The Lord of the Rings' movies" (Richard Roeper, 'Ebert & Roeper'). Following a bloody civil war, young Ofelia enters a world of unimaginable cruelty when she moves in with her new stepfather, a tyrannical military officer. Armed only with her imagination, Ofelia discovers a mysterious labyrinth and meets a faun who sets her on a path to saving herself and her ailing mother. Soon, the line between fantasy and reality begins to blur, and before Ofelia can turn back, she finds herself at the center of the ferocious battle between Good and Evil. Wonderful imagination and a bizarre cast of curious creatures! The integration of fantasy and war was nicely done although I was left somewhat bewildered at the end. Was it real? Or was it a world she created to escape the horrors around her? Leaving it for the viewer to decide is what makes this movie great. From Miramax Films comes one of the most honored and acclaimed motion pictures of the year, Doubt. Based on the Pulitzer Prize- and Tony Award-winning play, Doubt is a mesmerizing, suspense-filled drama with riveting performances from Meryl Streep, Philip Seymour Hoffman, Amy Adams and Viola Davis that will have you pinned to the edge of your seat. 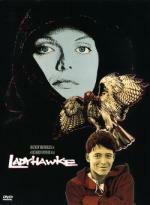 'Ladyhawke' is the enchanting tale of a beauty, a knight and a pickpocket known as the Mouse. Once the knight and the lady were lovers. Now the curse of an evil Bishop keeps them "always together, eternally apart." By day she is a hawk, by night he is a wolf. To end the evil spell, the knight vows to break into the Bishop's stronghold. With help from The Mouse. Directed by RIchard Donner and photographed by three-time Academy Award® winner Vittorio Storaro, 'Lawdyhawke' "is the most congenial spot for happy ever-aftering since 'Camelot' " (Rita Kempley, 'The Washington Post'). Great movie. Pure medievil fantasy. Must have watched this a dozen times now. Rutger Hauer had a stretch of movies in the mid-80s (Blade Runner, Ladyhawke, The Hitcher, Wanted : Dead Or Alive) where I thought he was the coolest actor. The quality of his movies seemed to have tailed off once the 90's rolled around but for that particular era he was one of the best. Michelle Pfeiffer never looked more gorgeous than she did in this movie. Matthew Broderick was rather pedestrian this time around, looking like the goofy kid he's portrayed in so many other movies, this time in peasant garb. Always a sucker for a love story with a twist. KC if you like Rutger Hauer try to watch Nighthawks one day, He is great in this also as usual. I've never seen Nighthawks and it has been on my wish list for awhile now. Past Midnight is another one I'd like to get my hands on. 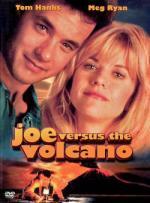 Laughs erupt when Tom Hanks and Meg Ryan fall in love and fall in lava - in 'Joe Versus the Volcano', a stylish laughquake written and directed by 'Moonstruck' Academy Award® winner John Patrick Shanley. This first teaming of the peerless stars of 'Sleepless in Seattle' and 'You've Got Mail' follows the follies of a stressed-out guy (Hanks) in a dead-end job who is told he has a terminal "brain cloud." A zany jillionaire (Lloyd Bridges) then makes him an offer that gives him a fleeting taste of the good life. In exchange, he must journey to a Pacific island and leap into a volcano. Is Joe doomed to be the last of the red hot lovers? Not if the forces of imagination, romantic comedy and the charm of Ryan in 'three' roles as the women in Joe's life have their way. The first of many pairings for Tom Hanks and Meg Ryan. Silly nonsense with a few chuckles. Abe Vigoda as the Waponi Chief was quite humorous. Hard to believe these kind of movies were Tom Hanks' bread and butter for many years. This was just ok.
From famed writer-director David Cronenberg ('The Dead Zone', 'The Fly') comes a chillingly twisted masterpiece of psychological horror. Oliver Reed ('Gladiator') and Samantha Eggar ('The Astronaut's Wife') star in this shocking, intense thriller about how misdirected rage can literally take on a life of its own. Behind the walls of his secluded Somafree Institute, Dr. Hal Raglan (Reed) experiments with "Psychoplasmics," a controversial therapy designed to help release pent-up emotions in his patients. He keeps his star patient Nola (Eggar) in isolation, but as she vents her fury during their sessions, brutal murders befall the people she's angry with outside the institute. What is the connection between Raglan's methods and these monstrous killings? The answer will unleash a whole new breed of terror! David Cronenberg is one sick puppy... and we are the beneficiaries! Quite the freakshow... and what a collection of characters. The little girl was spookier than the brood-kiddies, Samantha Eggar is downright horrific... exterior placenta and all! Oliver Reed has the biggest head of anyone I've ever seen. You could fit cantaloupes in those nostrils! If you watch closely the kids faces when the brood are beating the teacher to death you get the feeling that some of them didn't realize that they were only pretending. They looked horrified!! Only Cronenberg could throw together such disturbing chaos and make it work. As long as you don't try to make too much sense of what you are watching it's quite entertaining! Ah, the "New Flesh" day s of Cronenberg. They are missed... Then again, there is only so many times you can introduce "new flesh" to the audience. On the other hand, one might argue that he did it as late as Crash. I never did see the New Flesh documentary about Cronenberg. Maybe I can track it down on Youtube. I think Crash qualified as New Flesh... I certainly had seen nothing like it before! He certainly knew how to raise the bar in terms of what would be considered controversy in film. Andy Samberg '(Saturday Night Live)' stars as Rod Kimble, a stuntman with a fake mustache and a dream, in this outrageous comedy so unpredictable you won't know what hit you! Rod has never landed a jump without wiping out. His family and friends think he's a joke. And, to top it off, his stepfather Frank uses him as his own personal punching bag. But he's not going to let a few minor problems keep him from the biggest stunt of his life! Co-starring Isla Fisher '(Wedding Crashers)' and Ian McShane '(Shrek The Third), Hot Rod' is "very, very funny from start to finish" and scales the heights of hilarity as Rod defies death to win the money, win the girl and, ultimately, win some respect. Quite possibly the dumbest movie I've ever watched. Took me almost all week to watch it as I could only stomach it in 20 minute doses. Sissy Spacek and Ian McShane should be ashamed for signing on for this one. Lorne Michaels needs to learn that not every SNL character or alumni will work on the big screen. I'm actually quite stunned that this received 6.5/10 on IMDB. The only 2 positive things I can say about it are it had good 80's music and Isla Fisher is gorgeous. I really liked Hot Rod! I reviewed it on here. I found it so much better than Step Brothers, with which it bears some comparison. I don't know... this movie just did nothing for me. I am usually a big advocate of the stupid-funny movie but I found this one just plain stupid.